Sheep to Shawl Demonstrations annually at the New Mexico State Fair. Las Aranas has been presenting educational programming via Sheep to Shawl for over 40 years! Representation to the Albuquerque Fiber Arts Fiesta held biennially in May at Expo New Mexico where we host a juried exhibit, open to all, and demonstrate spinning and weaving. 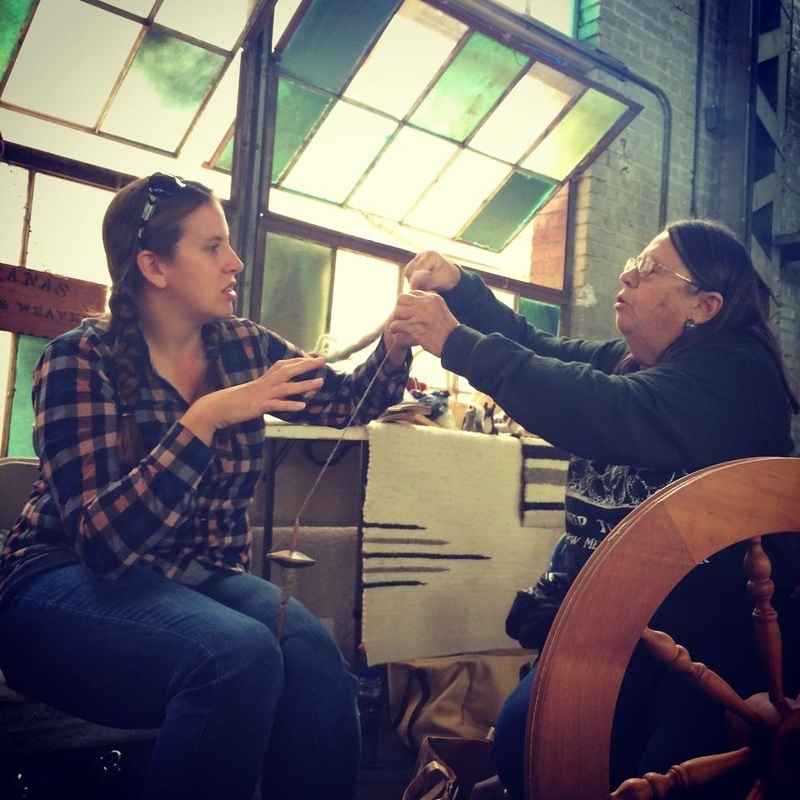 Participation in various community programs at the Albuquerque Botanical Gardens Winter Wool Festival, Casa San Ysidro Spring and Harvest Festivals, Celtic Festival, etc. Support and Assistance to organizations and individuals who need information or advice on various fiber processes.